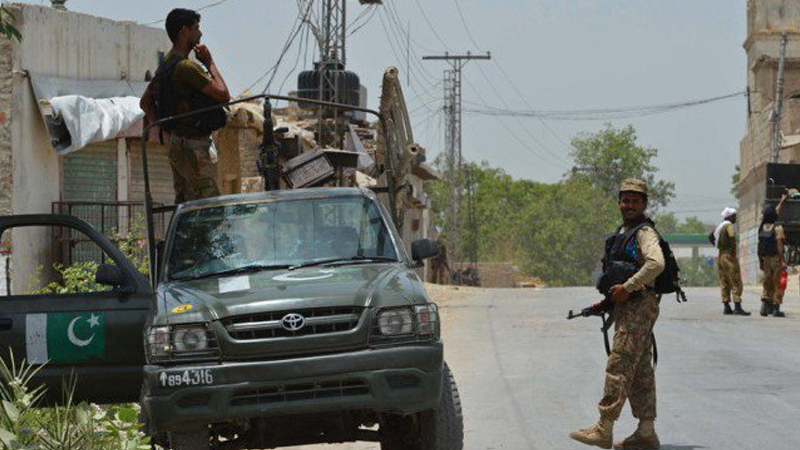 Security forces on Wednesday recovered four kidnapped Iranian soldiers after an exchange of fire with terrorists belonging to a proscribed organisation, the Inter-Services Public Relations (ISPR) said in a statement. The media wing of the military said the forces conducted an intelligence-based operation (IBO) at Amori in the Chaghai district of Balochistan, about three to four kilometres from the Pakistan-Afghanistan border. “Terrorists of a proscribed organisation were reported to have entered Pakistan from Afghanistan side along with the abducted Iranian soldiers,” the ISPR statement said. “After exchange of fire, four Iranian soldiers were recovered from a transitioning hideout,” it added. The ISPR statement said the recovered Iranian soldiers are being handed over to the Iranian authorities.